Along with a full-service spa, this smoke-free resort has a restaurant and an outdoor pool. Free WiFi in public areas, free valet parking, and a free area shuttle are also provided. Other amenities include 3 bars/lounges, a fitness center, and a sauna. All 200 rooms boast fireplaces and jetted tubs, plus free WiFi and LED TVs with cable channels. Other amenities available to guests include balconies, sitting areas, and 24-hour room service. 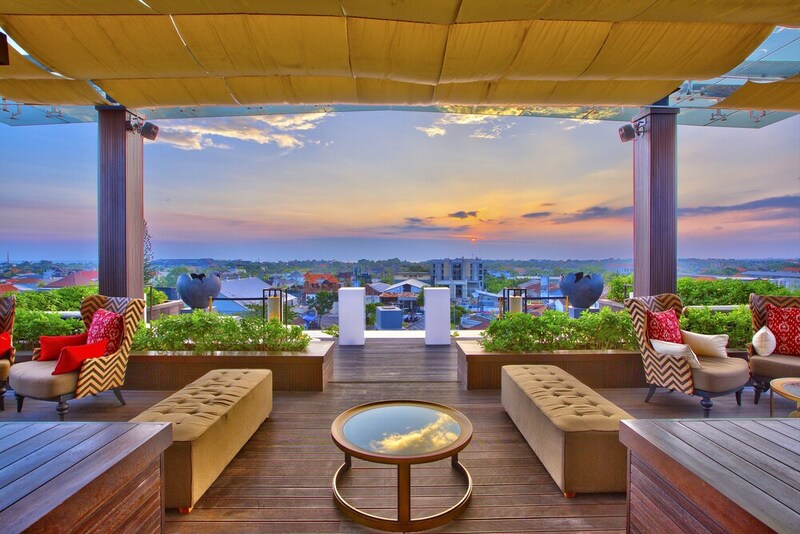 The Trans Resort Bali features a full-service spa, 4 spa tubs, a waterslide, and an outdoor pool. The resort offers a restaurant. Guests can unwind with a drink at one of the resort's 3 bars/lounges. Public areas are equipped with complimentary wireless Internet access. A business center is on site at this 5-star property. This luxury resort also offers a children's pool, a fitness center, and a sauna. For a surcharge, a roundtrip airport shuttle (available 24 hours) is offered to guests. Onsite self parking and valet parking are complimentary. The Trans Resort Bali is a smoke-free property. The Restaurant - This poolside restaurant specializes in Halal dishes and serves breakfast, brunch, lunch, and dinner. A children's menu is available. Happy hour is offered. Open 24 hours. 4 spa tubs are on site along with an outdoor pool. In addition to a children's pool, other recreational amenities include a waterslide, a sauna, and a fitness center. The SPA has 8 treatment rooms including rooms for couples. Services include hot stone massages, facials, body scrubs, and body treatments. A variety of treatment therapies are provided, including reflexology. The spa is equipped with a sauna, a spa tub, and a steam room. This property offers transfers from the airport (surcharges may apply). Guests must contact the property with arrival details before travel, using the contact information on the booking confirmation. Children 5 years old and younger stay free when occupying the parent or guardian's room, using existing bedding. No pets and no service animals are allowed at this property.